We are extremely pleased to announce that our renovated trails are now open to the community for cross-country skiing every Saturday and Sunday from 12:00 p.m. - 3:00 p.m. We also have equipment available to loan if you do not have your own. 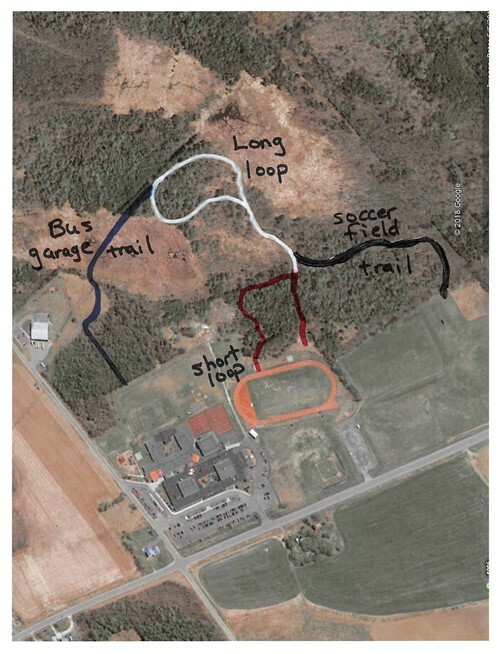 We ask that anyone using the trails between these hours to check in at the back elementary gym entrance (walk outside by the tennis courts to enter these doors.) This is also the location where skis, boots, and poles can be borrowed. We ask that if you borrow equipment to please have it returned by 2:45 p.m. The trails are groomed and in great shape. A tremendous thank you to Senator Patty Ritchie who secured the funding for this trail project and the ability to groom the trails.